Brazilian saxophonist Ivo Perelman, who settled in New York, is destined to become a big star. 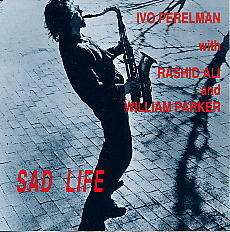 It is no coincidence that he recorded with the former John Coltrane's drummer Rashid Ali and a near legend William Parker, for only these musicians are capable of matching the intensity of Ivo's playing. Check your equipment! Make sure your CD player does not melt down.